A neat and stylish kitchen will make your time in there more enjoyable. Give your kitchen a new look by organizing all your utensils and spices neatly in well-renovated kitchen cabinets. Why Do I Need Kitchen Cabinets? Not only will Kitchen Cabinets save space inside your kitchen, it will also help your kitchen look bigger and more spacious. Cabinets are to your kitchen as furniture is to your living room. With thousands of combinations to choose from you can stylize your kitchen as you wish. Those new kitchen cabinets will bring with it a sense of positive energy within your home. Adding improvements in your home will raise its resale value. Research from several groups has shown that the money you invest in home improvements, especially within the kitchen, will help you recoup as much as 60-120% of the money you had invested. If you have a little change in your pocket then doing something simple as replacing your kitchen cabinet doors can give your kitchen a face-lift. With these types of kitchen cabinet doors, no part of cabinet frame or the hinges will be visible from the outside.These types of doors will give your kitchen a more elegant look. Unlike the full overlay type, these types of kitchen cabinet doors won’t hide the entire cabinet frame from view with the frame in between the doors being visible in sight. 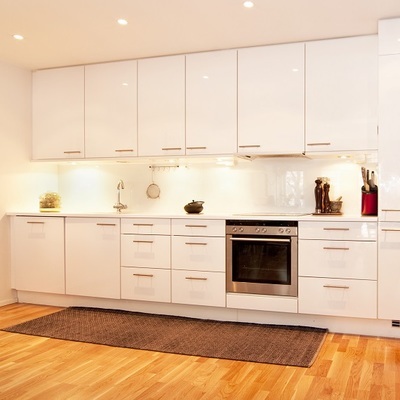 In these types of kitchen cabinet doors, the entire part of the cabinet frame will be visible from the outside. While these types of doors will give your kitchen a more traditional look, the cost of it will be considerably more than full overlay doors. Another disadvantage that these types of doors have against it is the fact that the drawer space will be lesser than full overlay doors. 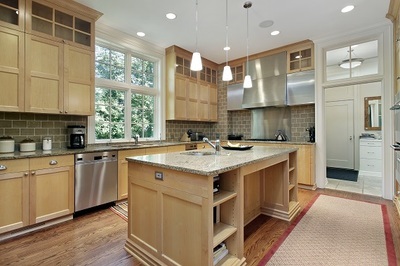 What About Open Kitchen Cabinets? Won’t these types of cabinets serve the same purpose? Now that you’ve decided, the one thing that you need to consider is to get soft close doors. This kind of door helps you to curb the sound of the cabinet door each time you open and close it.